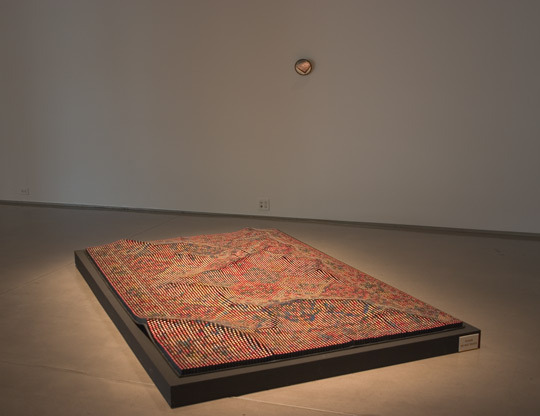 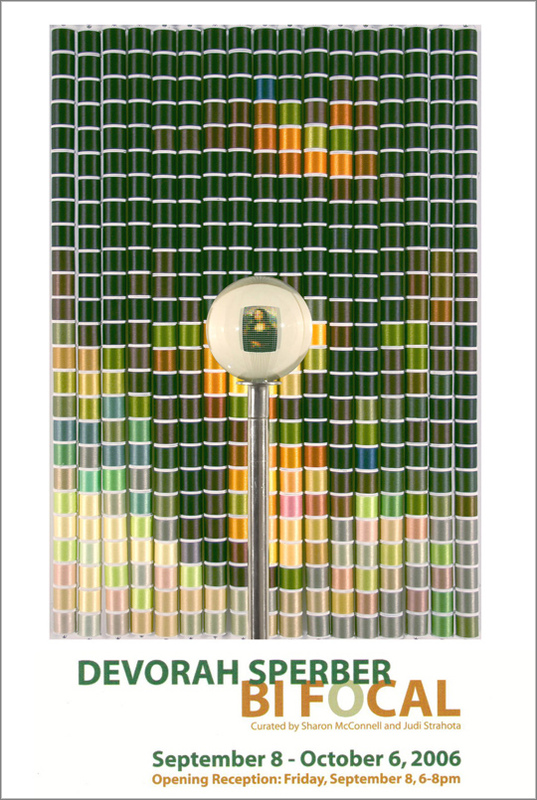 Alfred University's Fosdick-Nelson Gallery in the School of Art and Design welcomes its first exhibit of the new academic year with "BiFocal," a solo show by New York City-based artist Devorah Sperber. 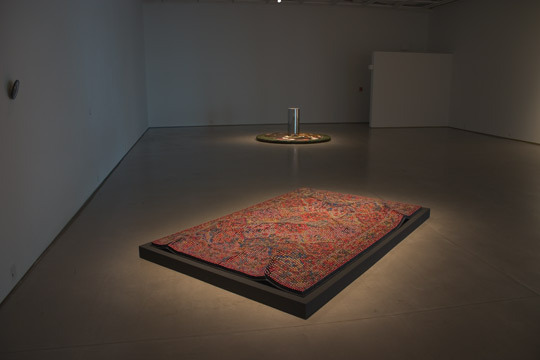 The show opens Friday, Sept. 8 and runs through Friday, Oct. 6. 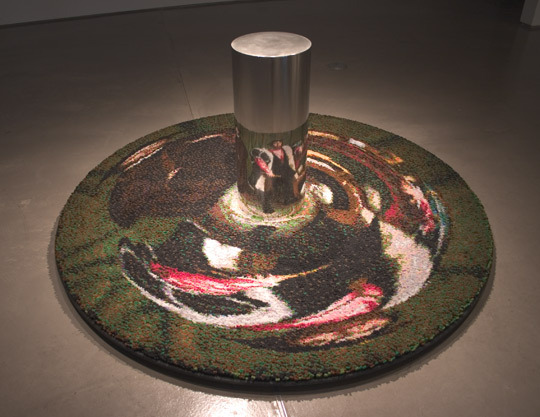 There will be an opening reception for the general public from 6-8 p.m., Sept. 8, in the gallery, on the third floor of Harder Hall. 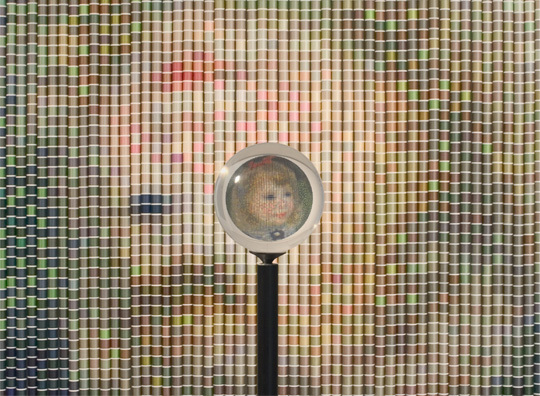 Devorah Sperber's constructed images based on historical paintings appear at first glance to be fantastic collections of mundane objects, spools of thread, chenille pipe cleaners, or thousands of marker caps neatly assembled on a grid, said Sharon McConnell, director of the Fosdick-Nelson Gallery. 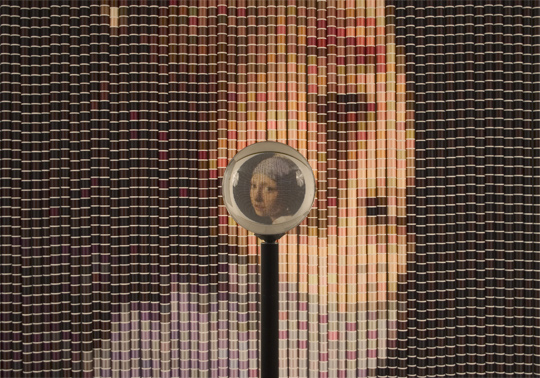 "On closer examination, with the aid of a clear acrylic sphere, the colorful pixilated abstractions shift into a perfectly focused image of the Mona Lisa by da Vinci, or Girl with a Pearl Earring, by Vermeer," she explained. 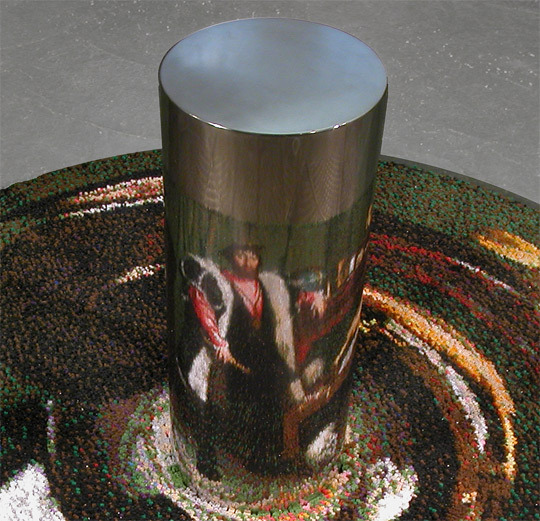 McConnell notes that Sperber's work bridges past and present and conflates high art with everyday mundane objects. 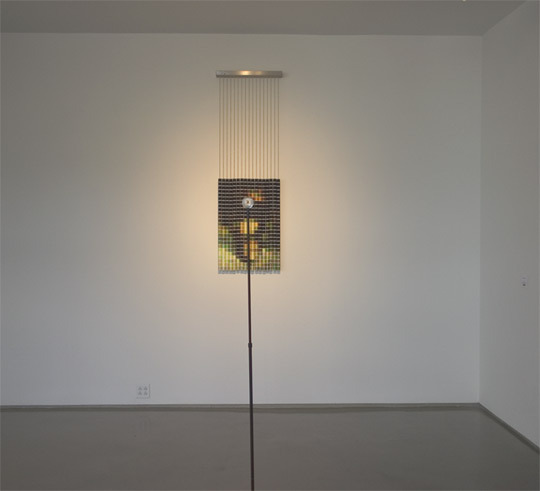 The works selected for "BiFocal" ask the viewer to reconsider something we take for granted - the mechanism of sight and the interpretation of visual information, she said. 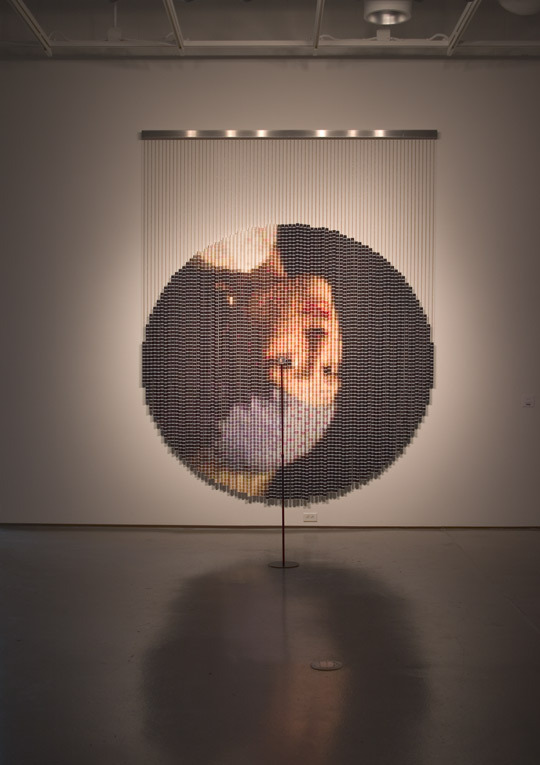 "BiFocal," co-curated by McConnell and Judi Strahota, assistant professor of sculpture, will debut two new pieces from Sperber's "eye-centered portrait" series. 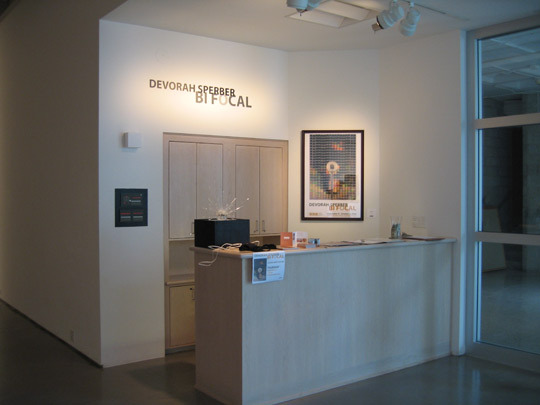 The artist is scheduled to have another solo exhibit - "The Eye of The Artist: The Work of Devorah Sperber" -- at the Brooklyn Museum of Art, Brooklyn, NY, Jan. 26-May 6, 2007. 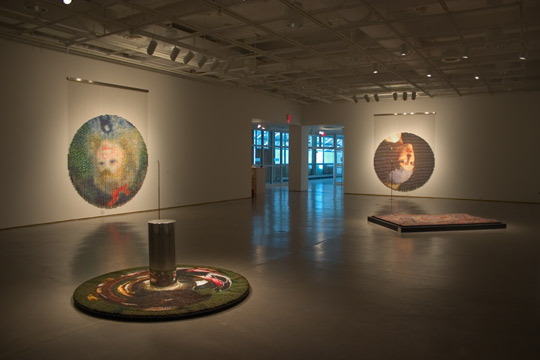 The Fosdick-Nelson Gallery is open Monday-Friday from 11 a.m. to 4 p.m., and Saturday and Sunday from 1-3 p.m. For more information, please contact McConnell at mcconnells@alfred.edu. 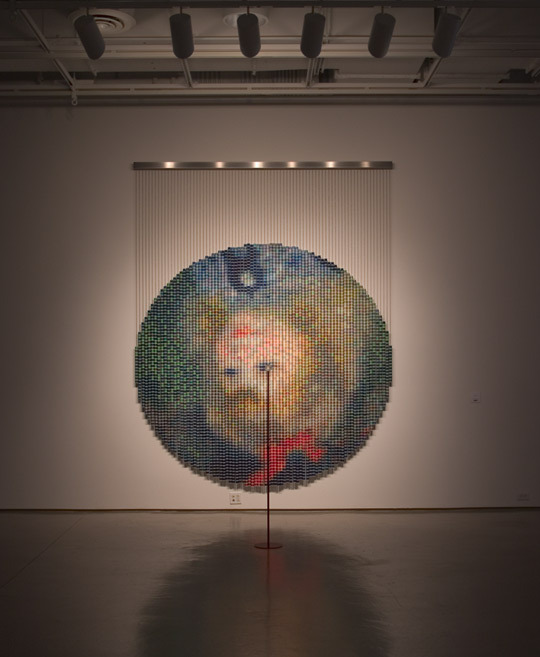 Installation View: *"After Renoir," 2006, by Devorah Sperber, 5,024 spools of thread, stainless steel ball chain and hanging apparatus, clear acrylic viewing sphere, metal stand (122" h x 100” w x 84” d).